Actress and singer Karen Mason returned to Broadway in April 2011 as the Queen of Hearts in Gregory Boyd, Jack Murphy, and Frank Wildhorn’s Wonderland. She has starred on Broadway (Jerome Robbins’ Broadway, Sunset Boulevard, Mamma Mia!, Hairspray), Off-Broadway (And the World Goes ’Round, Carnival), in regional theatre (Sundance, Coconut Grove, St. Louis, Tampa), on television (Law & Order, Law & Order: SVU), on film (Sleeping Dogs Lie, A Chorus Line), and as a recording artist. She is particularly popular in the world of cabaret, with ten MAC (Manhattan Association of Cabarets and Clubs) Awards including the MAC Award for Major Female Vocalist of the Year for six years running; she has three Bistro Awards and the 2006 Nightlife Award for Major Female Vocalist as well. Karen Mason’s first performance as a solo cabaret singer was in 1976 on New Year’s Eve. A club in Chicago had hired Brian Lasser, the pianist and composer who was to be Mason’s musical director and arranger until his death from AIDS in 1992, to play the piano for the occasion. “Would you mind if I brought a singer?” he asked. “Just as long as we don’t have to pay her,” they answered. Thus the singer’s long and varied career began. 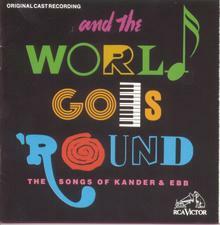 At the off-Broadway Westside Theatre in March 1991 she began a year-long run in the original cast of the Kander & Ebb revue, And the World Goes ’Round. The show won the Lucille Lortel Award for Outstanding Musical and the Drama Desk Award for Outstanding Musical Revue; Karen Mason won an Outer Critics Circle Award for her performance. The original cast recording is available on RCA Victor. In the Spring of 1993, the York Theatre Company revived the musical Carnival off-Broadway. Karen Mason’s performance as Rosalie earned her a nomination for the Drama Desk Award for Outstanding Featured Actress in a Musical. In 2001 Mason originated the role of Tanya in ABBA’s Mamma Mia! on Broadway, receiving a nomination for a Drama Desk Award for Outstanding Featured Actress in a Musical. She and two of her co-stars, Louise Pitre and Judy Kaye appeared on Rosie O’Donnell’s TV show to perform their boisterous version of “Dancing Queen.” Leaving the show in October 2002, she starred in Norman Mathews’s one-woman cabaret musical about Dorothy Parker, You Might As Well Live, in Chicago and New York. In April 2008 Mason was a replacement in the role of Velma Von Tussle in Hairspray, playing onstage keyboards in addition. Hairspray closed at the beginning of 2009, whereupon Karen Mason joined the workshop cast of Wonderland at The David A. Straz Center for the Performing Arts in Tampa. 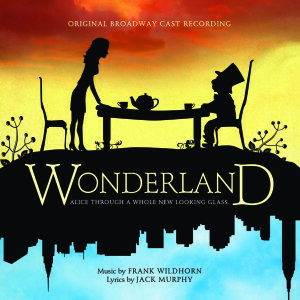 After tryouts there and at the Alley Theatre in Houston, and another run in Tampa, Wonderland arrives in New York at the Marquis Theatre with Karen Mason as the Queen of Hearts. 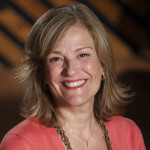 Besides Wonderland, Karen Mason’s regional credits include the premiere of White Christmas at the St. Louis MUNY, Side by Side by Sondheim at the Coconut Grove Playhouse, Gypsy at the Sundance Theatre in California, the world premiere of One Tough Cookie at the Apple Tree Theatre in Chicago, Heartbeats presented by the Goodspeed in NY, and Company at the Huntington Theatre in Boston. Mason has six solo albums to her credit, all on Zevely Records: Not So Simply Broadway (1995), Better Days (1996, featuring the song “Hold Me,” winner of a posthumous Emmy Award for Brian Lasser in 1998), Christmas! Christmas! Christmas! (1999), When the Sun Comes Out (2002, winner of the MAC Award for Major Female Recording of the Year), Sweetest of Nights (2005), and Right Here, Right Now (2008, winner of the 2009 MAC Award for Album of the Year). She is also featured on the soundtrack of Jeffrey (Varese Sarabande), a studio recording of Wonderful Town (Jay Records), The Child In Me, Vol. 1 (Harbinger Records), and Lost in Boston II (Varese Sarabande). She has sung at Carnegie Hall, The Kennedy Center, and Lincoln Center, toured to the United Kingdom, Sweden, Brazil, Scotland, and Japan, and shared the stage with the likes of Luciano Pavarotti, Rosemary Clooney, Liza Minnelli, Michael Feinstein, Jerry Herman, and John Kander & Fred Ebb. In New York she has headlined at Feinstein’s at The Regency, the Rainbow & Stars, the Algonquin, Arci’s Place, The Supper Club, and The Ballroom and had her own show Off-Broadway: “Karen Mason Sings Broadway, Beatles and Brian [Lasser].” In Los Angeles she has appeared at The Cinegrill and in the UCLA/ASCAP Concert Series; in San Francisco at The Plush Room; and in Chicago at Davenport’s Piano Bar & Cabaret.